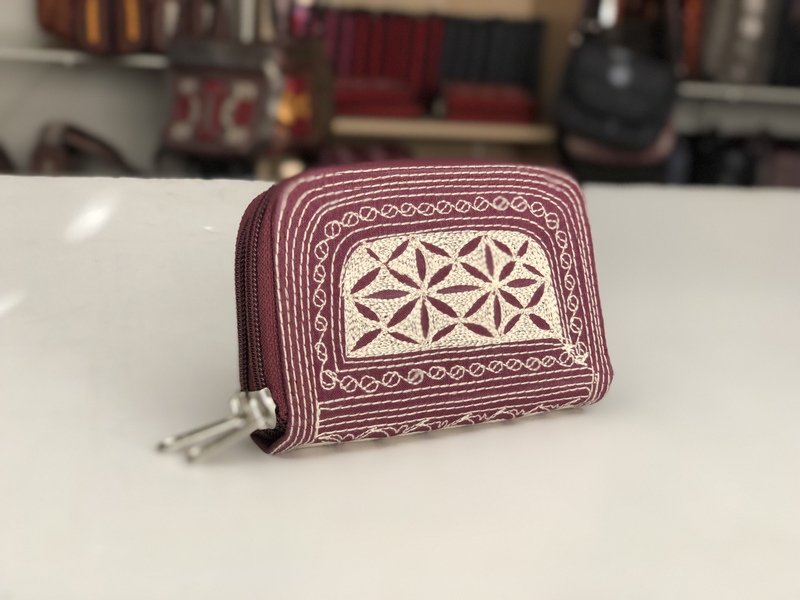 Laga handcrafted vegan wallet free motion embroidered Uang Small Fold ,like it’s larger counterpart, stands appropriately for “money” and is a wonderful addition to Laga’s line of embroidered accessories. 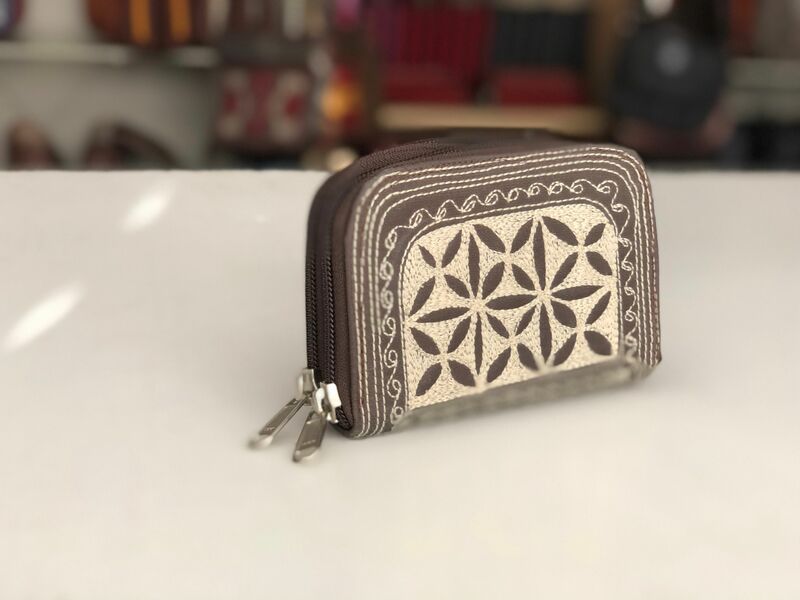 Made of nylon-polyester material and thread, all of Laga Handbags and accessories are stain and water resistant. 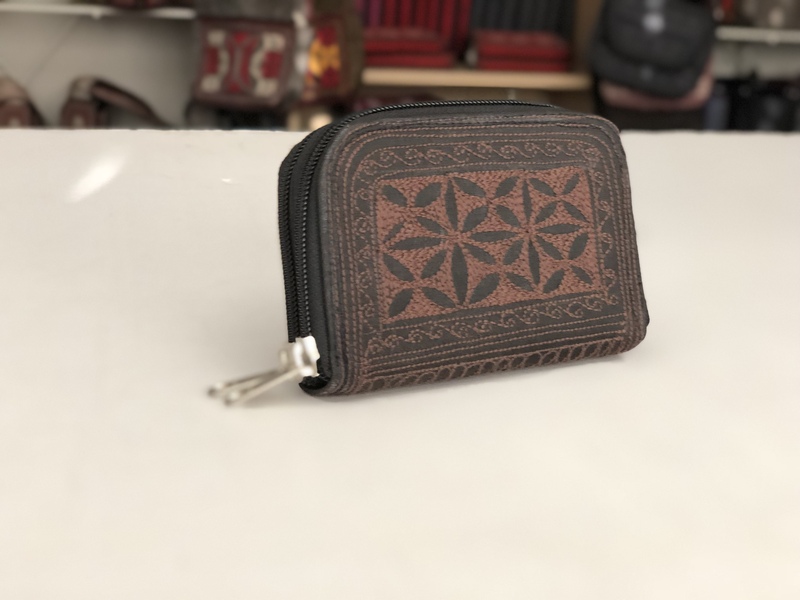 Inside this beautiful billfold you will find plenty of room, for a small wallet, room for credit cards and also a small zippered coin pouch. 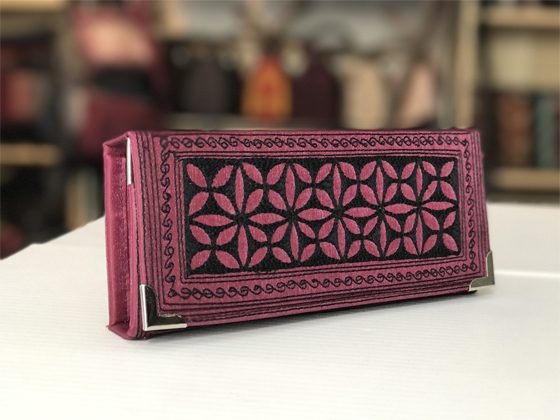 Do not be surprised to receive “oohs” and “aahs” whenever you take out your Laga Uang Small Fold Wallet. It always receives rave reviews. 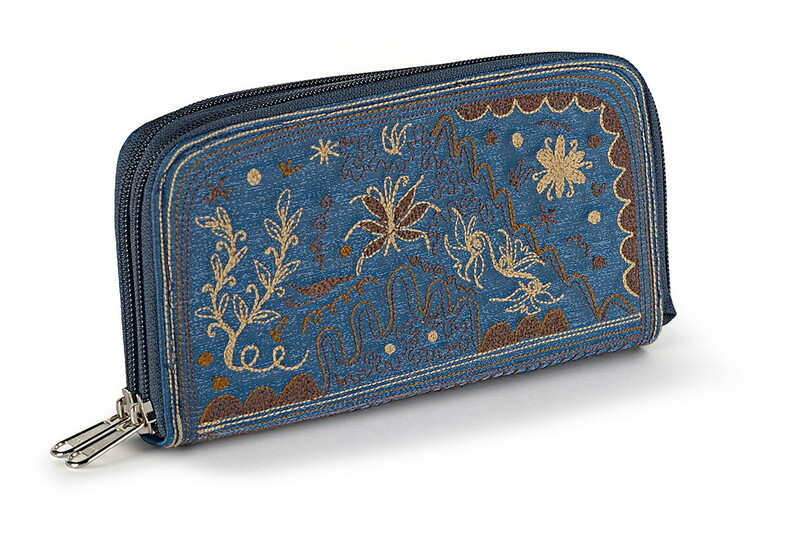 I bought this smaller wallet at a quilt show and the larger wallet had already sold out so I didn’t know it existed. I expected this wallet would be the correct size for US dollars. 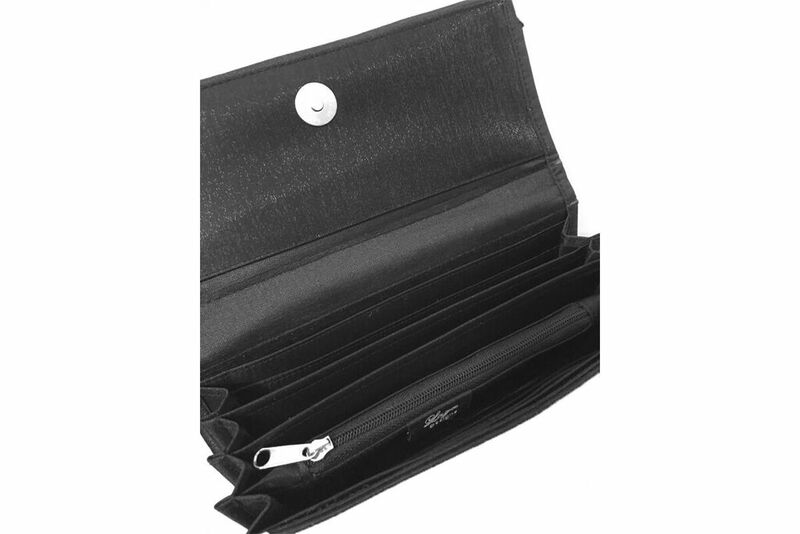 Unfortunately, this wallet does not hold US dollars unless you fold the bills twice as it is not the right height or width. 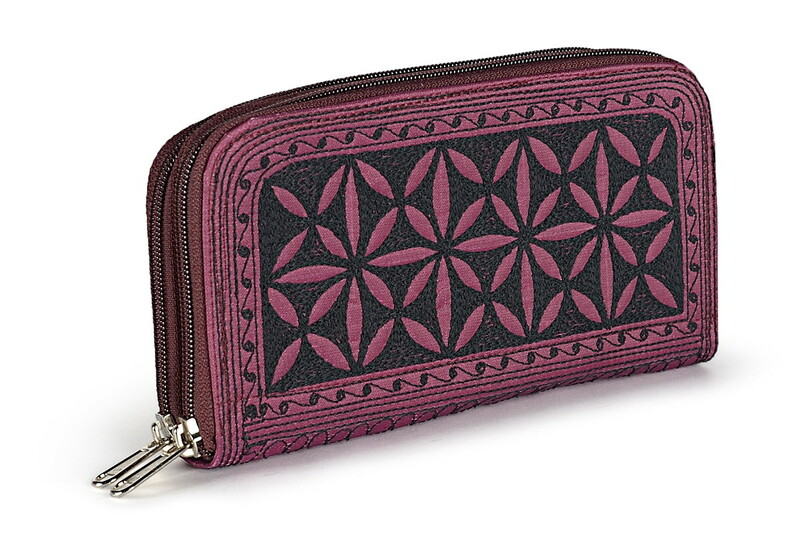 Not practical as a wallet and pockets are too narrow for make up. Wish I had noticed before I bought it. I love the shape and that it can stand up on the bottom, not to even mention the beauty of the stitching. Trying to think of what else I can use it for.